Specialising in providing a full complement of film services, our friendly team at Flix can produce creative original content for you, including innovative training resources, effective fundraising films, powerful dramas, and dynamic corporate videos. We are passionate about contributing to positive change in our society through the unique reach of film, and by promoting the work of companies and organisations that deliver important services to our community. We believe every great film starts with a simple idea – that one spark of inspiration. Finding that spark to create your unique film project is what we love and do best. Our team at Flix will work with you to create your original concept, tell your story, and convey your message. We’ll ensure it’s well researched, accurate, and authentic. Our scripts capture the imagination, with dynamic new approaches that will ensure your film does everything you want. And more. We have a well-deserved reputation for developing and producing top quality dramas that have received recognition at a range of award ceremonies and prestigious events. From the first tiny idea through to delivery, we bring together experience, sensitivity, creativity, and professionalism, along with a unique collaborative process that involves you in every step of the production. We understand that documentaries can be a powerful format for bringing together and presenting information in ways that engage, inform, and inspire people from all walks in life. 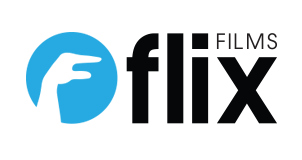 The Flix team has the ability to develop and deliver powerful documentaries, each with its own flavour, built on quality research, an eye for detail and accuracy, and a real passion for imparting knowledge. In the words of John Cleese, “no one learns when they’re bored”. Innovative, engaging training not only improves learning outcomes, but can help people feel valued and empowered in their work and lives. Our training films have already helped thousands of people embrace behaviour change and better practices, and we can apply that experience, creativity, and success to your training project. No matter the format or delivery platform, we will work with you to develop a unique learning package that brings about real results. Your event is a smash hit – everyone who attended thought it was brilliant and had a great time. Now you need that success to last beyond the clean-up. Too often the energy of a great event is lost through unimaginative filming. Your event film should be every bit as exciting and engaging as actually being there, and we can deliver just that. Our high production values, carefully matched to the tone of your event, will ensure that your event remains more than just a memory. From seemingly simple ‘whiteboard’ line art, through to fully developed character work, complex graphic design, and unique imagery, we can match your message with the right animation style and create a vibrant, engaging animation that will meet your project needs.